they adorn. Payment by Major Credit Cards. Dun & Bradstreet for 15 years. Site is usually updated monthly. This web site is not an authorized dealer or agent of Chanel. Chanel does not participate nor endorse this web site. Number, Size & Quantity Desired. Custom Couture By Natasha and Jane LLC. 2. $46 each 5/8" ,7/8"
7. 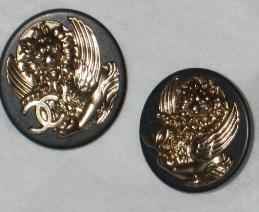 CHANEL Lions Head RARE $188 each 7/8"
11. $58 each 3/4", 1/2"
12. $48 each 1/2", 7/8"
20. 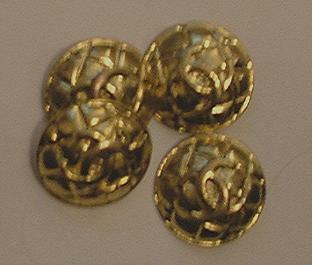 $42 each 3/4", 1/2"
21. $38 each 5/8",1/2", 3/8"
22. $68 each 3/4" and 1/2"
23. $58 each 5/8", 1/2"
25. $58 each 7/8", 5/8"
26. 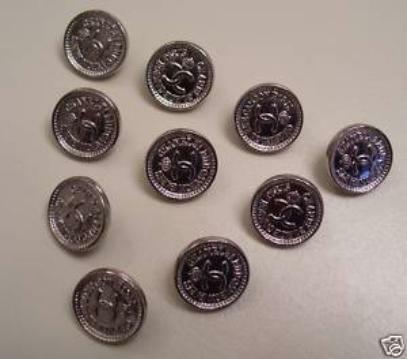 $38 each 1/2", 1/4"
32. $38 each 1/2", 1/8"
37. $45 each 11/16", 3/4", 13/16"
38. $55 each 5/8", 7/8"